APS Lifestyle Gallery turns marketplace for a day. APS Lifestyle Marketing has teamed up with a list of partners to create an event like no other! Transforming the newly furbished, two-level showroom into a ‘pop-up’ marketplace for one day in what promises to be a unique event. APS Lifestyle Gallery, the two-level showroom at 9 Muthuraman Chetty Road will be transformed into a unique pop-up marketplace featuring a list of brands and merchants, offering everything from fine gourmet food, beers, wines, produces, home accessories, deco and affordable arts. 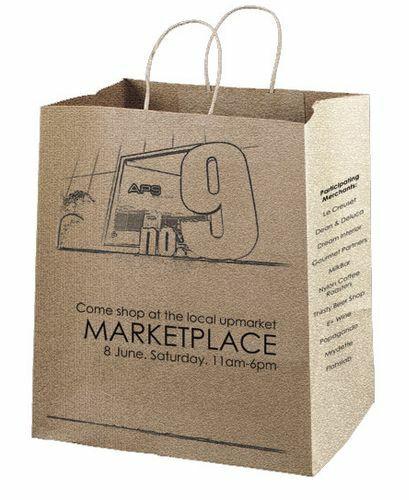 Named “9MCM Upmarket – Summer Edition”, derived from our address at 9 Muthuraman Chetty Road, this event offer the public a chance to view, sample and purchase different products, as well as to take advantage of the special bundle deals of the day. Brands and partners involves in this event includes Le Creuset, Dean & Deluca, Gourmet Partner, Popaganda, Thirsty The Beer Shop, E+ wine and Dream Interiors, just to name a few.